Swallowtail is lovely tiny house built by The Tiny House Company. The exterior features black stained plywood, corrugated metal, and clear-finished ply and color panel accents. Inside the 24-foot Swallowtail is a mixed-use loft space with retractable ladder and a living room with queen size sleeper sofa. The galley kitchen is outfitted with a gas cooktop, oven, and under counter refrigerator. 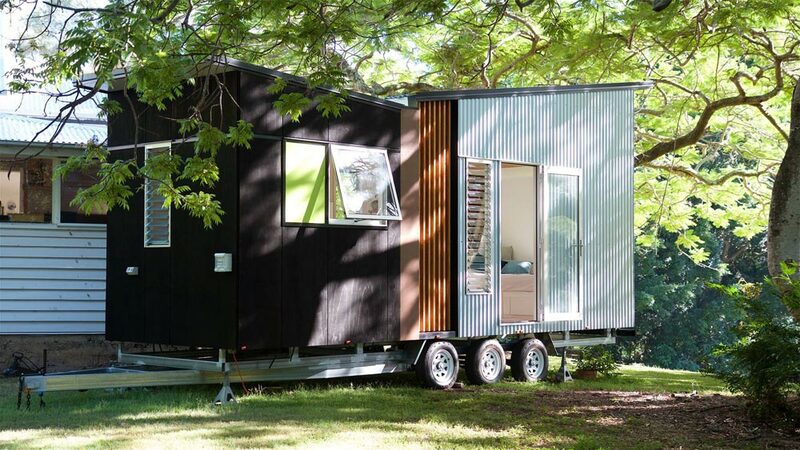 For more information about this tiny house, you can contact The Tiny House Company. Also available from The Tiny House Company: Portal.